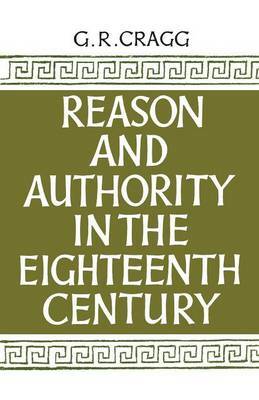 Originally published in 1964, this book examines the influence of reason and authority upon English thought in the eighteenth century. The text relates these two concepts to movements in religious and political thought, beginning with Locke's views on faith and reason before going through various areas and finishing with the beginnings of Romanticism. The age of the Enlightenment is seen as constituted, on the one hand, by an attempt to relate all significant intellectual movements to reason and, on the other, an attempt to devise proper restraints on the authority of reason. This book will be of value to anyone with an interest in philosophy, social and political thought, and eighteenth-century English history.